Admittedly, this was going to be my Wordless Wednesday, but an internet blackout and visit to a good friend’s house supplied me with a much, MUCH better picture for next week. 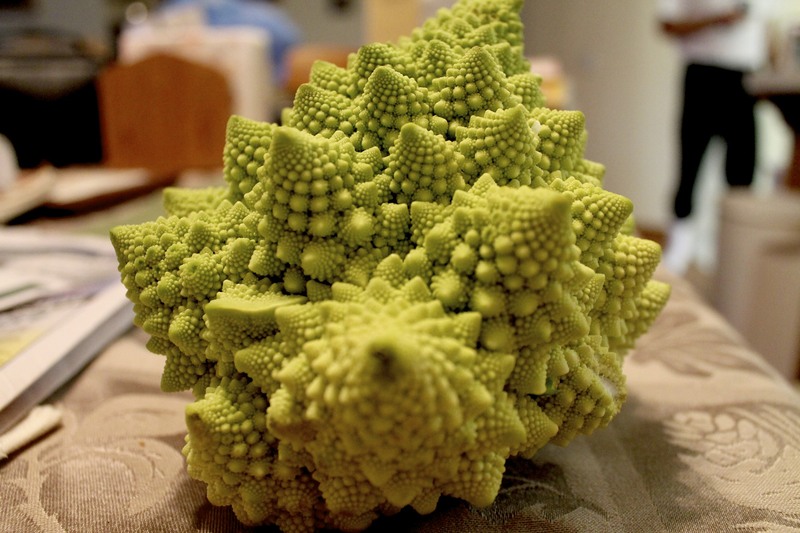 So romanesco is basically what happens when math meets food. Or something like that. Yeah, that’s a vegetable and yeah, that’s its natural state. 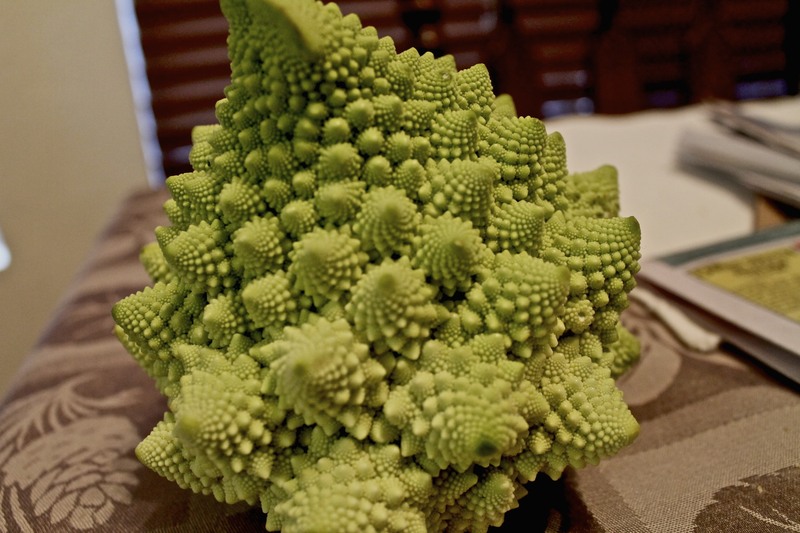 It’s made up of fractals and looks too cool to eat. Fortunately, it tastes as good as it looks pretty! I asked Stef to bring me some romanesco home from Weiser Family Farms and she so graciously did. It’s a mix between cauliflower and broccoli and is super soft. It can be eaten raw but you know me—I sent those florets straight to the oven to roast. You can read more about romanesco over at Coronado Patch and if you live near a farmers market, pick some up! 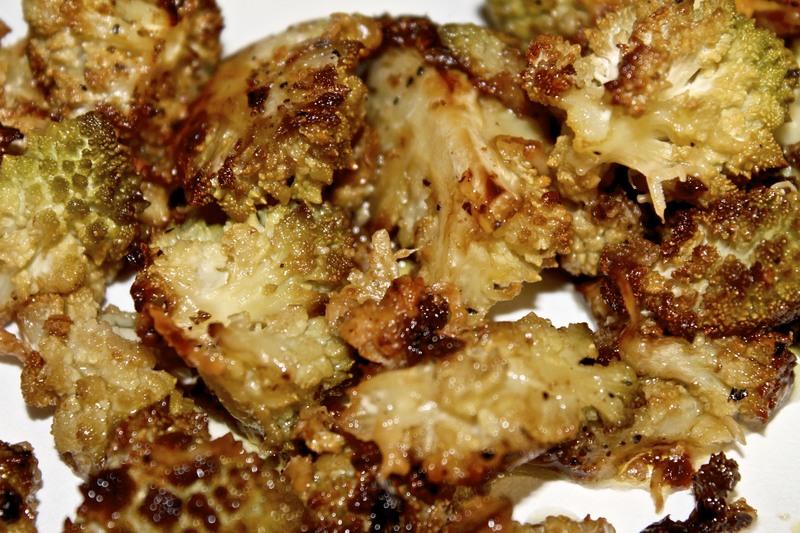 It turned my mother, who hates both cauliflower AND broccoli, into a believer. She scarfed the roasted stuff down as soon as it came out of the oven smelling *glorious*. (Asterisks indicate an angelic-like voice singing the word they are surrounding). 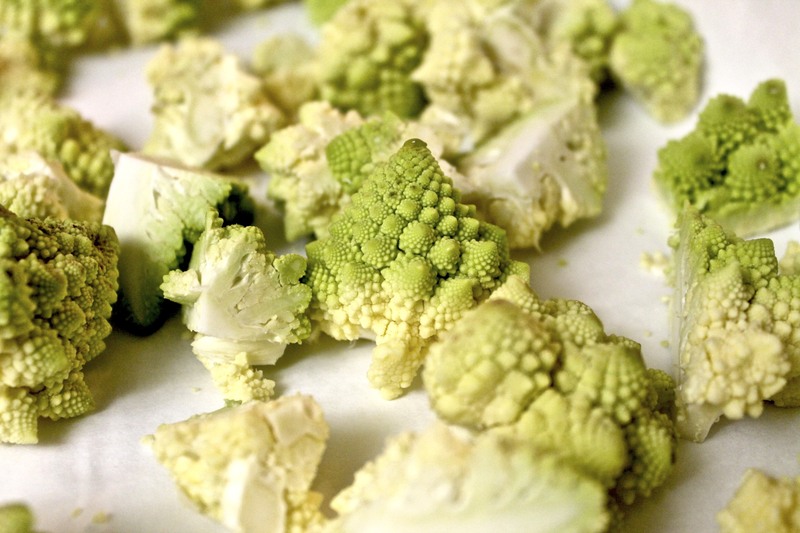 I’m thinking of trying to make this cauliflower soup with romanesco instead! Could make for an interesting flava flav. 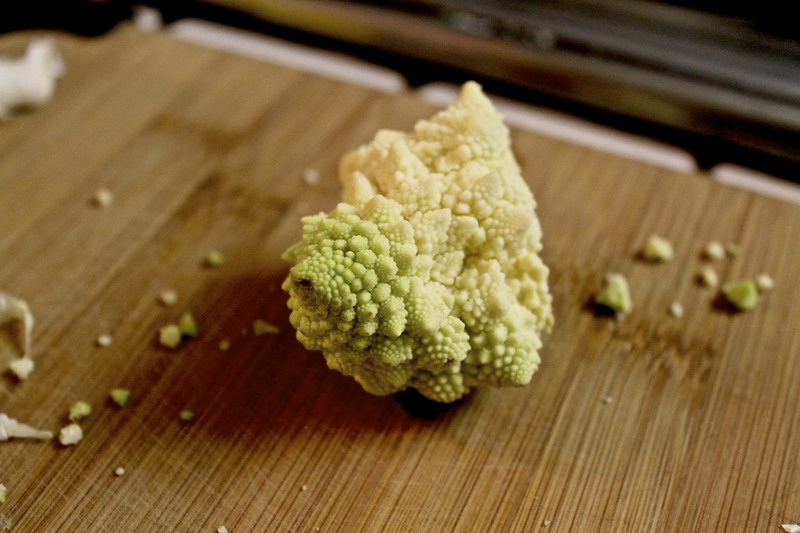 Have you guys ever tried romanesco? What do you think of it? Psst: I wrote a little blogsky over at Coronado Patch on Paula Deen, diabetes and butter. Read it here and leave a comment full of love or hate!